Old Florida can still be found in today's Casey Key, with winding roads and gated fronts, giving an air of privacy to the luxury homes and older cottages. Waterfront estates are common here and one can walk the beach to find shark's teeth and seaglass, as well as shells. Wildlife abounds in Casey Key and the natural setting has been protected, just as the history has been preserved. 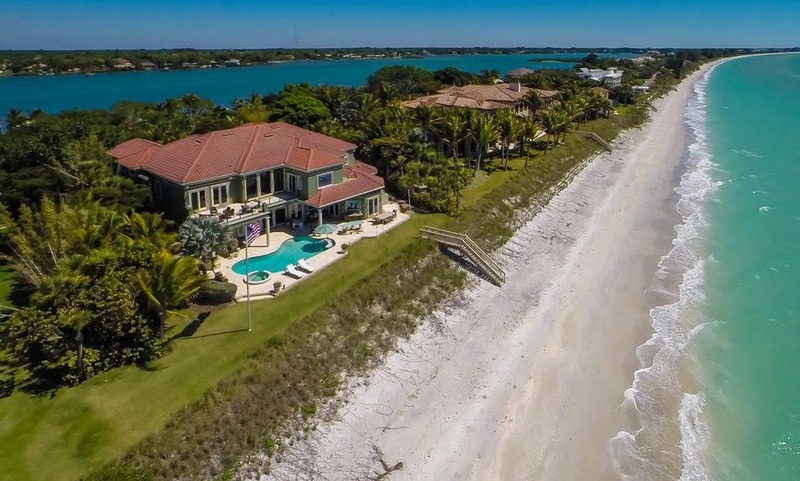 There are some residents of the narrower Casey Key which have the Gulf on one side and Sarasota Bay on the other. Because the island itself is strictly residential, single family homes, not hotels, make up the beauty of the island. Manatees, dolphins and other wildlife are residents here as well. A short drive up the road north will take you for local seafood. Sarasota, Longboat Key and Siesta Key are within a 30 minute drive. A drive south brings Nokomis Beach, a beautiful public beach. Relax in its aura on a Saturday night and enjoy the renown Nokomis Drum Circle, with sounds and sites of a magical and exotic place. As you sit in your beach chair, you will truly experience a bit of Paradise. Beach combing, boating, sailing, water sports, kayaking and swimming are all part of the Casey Key lifestyle. Residents and visitors of Casey Key enjoy watching birds and sea turtles, the mangroves and untamed sea outlets that are located along the beach. 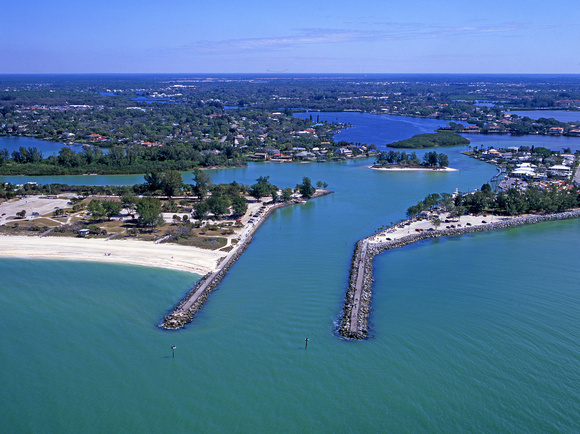 However, one of the most inviting areas of Casey Key is North Jetty Park that is located on the area's Southern tip. The park is an anglers paradise and offers easy access to the Gulf from the Venice Jetty. North Jetty Park offers a refreshing beach outlet, and many locals and visitors are often caught doing nothing more than relaxing under a beach umbrella, building sandcastles or collecting molluskan sea shells. Locals would also confess to making frequent visits to the nearby North Jetty Fish Camp, where they can get cold beer and a hotdogs and pick up some fishing bait. Those that venture out of the nearby Venice Jetty may also catch a glimpse of the friendly and playful dolphins that swim the Gulf. Other activities and attractions at Casey Key include listening to live music from the Siesta Key Drum Circle, shopping at the charming Venice Beach area or jet skiing at nearby Siesta Beach that is North of Casey Key. The Siesta Key area also provides appealing activities such as parasailing, fishing charters and sighting tours. Attractions within the area include Siesta Key Kayaking Tours, Sniki Tiki at Captain Curt's Village and the Old Salty Dog Restaurant at Siesta Key Village. Other fascinating areas of Siesta Key include Turtle Beach, Stickney Point Beach and the Point O' Rocks area. These areas offer access to fitness and jogging trails, canoeing, public boat ramps and tennis courts. The vibrant city of Sarasota, Florida is located approximately 12 miles from Casey Key. The area features some of the best Coquina Crab shells and molluskan sea shells on the bay. However, the area is home to exciting events, such as the Sarasota Film Festival, Thunder by the Bay Motorcycle Festival and Circus Sarasota. However, Casey Key homeowners enjoy the area's many local attractions, such as Marie Selby Botanical Gardens, the Aquarium at Mote Marine Laboratory and nearby Anna Maria Island. The John and Mable Ringling Museum of Art, the historical village at Coquina Beach and the Historic Spanish Point are also fabulous area attractions in Sarasota.